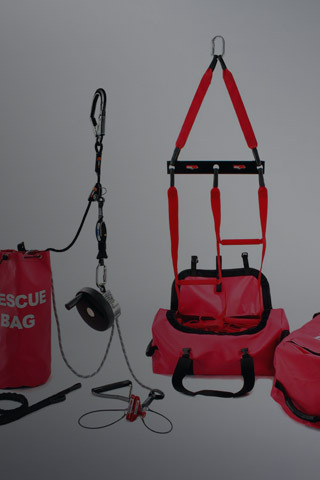 Leading Edge manufacture three types of rescue system. 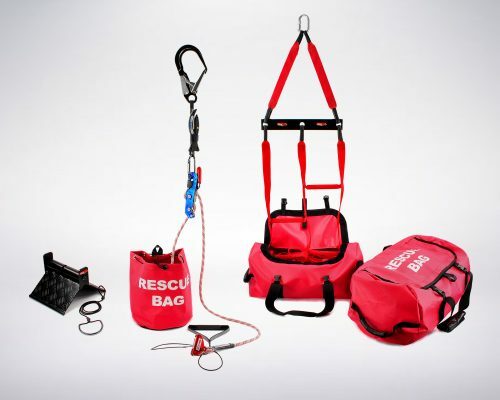 Together they allow the safe recovery of a fall casualty in any situation using the raising, lowering or combined raising and lowering methods. When lower floors are obstructed, glazed or high-rise, the haul ststem allows an unconscious fall casualty to be raised back to the area from which they fell. 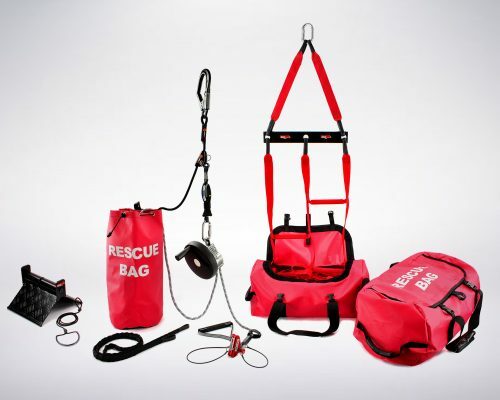 Though highly effective, its pulling mechanism requires a minimum of 5 people to conduct a safe and speedy recovery. Execute the recovery of a conscious or unconscious fall casualty by lowering them safely to the ground or a lower floor. 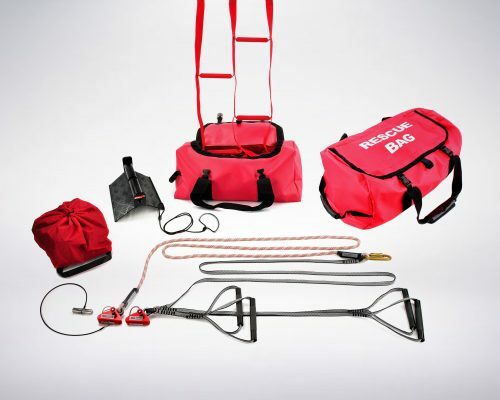 Requiring only one person to operate makes descent a quick and easy method of rescue, however it is only suitable for applications where there are no obstructions or restrictions beneath the floor from which the casualty fell, i.e. it’s safe to lower! The winch system combines the benefit of both haul and descent in one simple device to ensure maximum safety for all situations. The winch is not only easy to deploy but requires only one person to affect a speedy rescue by either lowering or raising the casualty to safety.